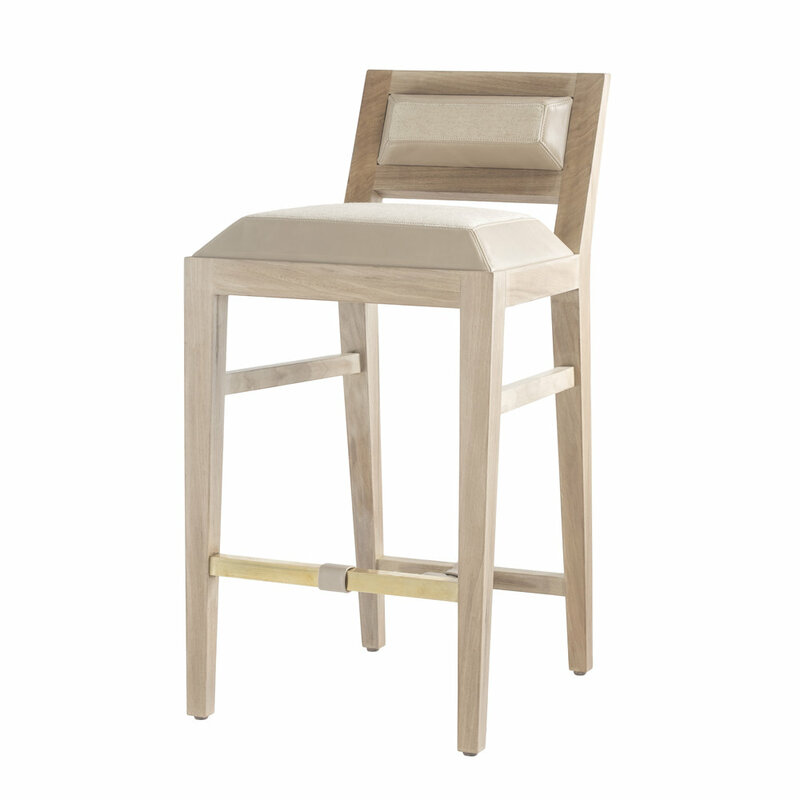 The solid walnut counter stool is hand-crafted with traditional joinery. The upholstery features a combination of leather and fabric and is an homage to 1940's French designer Jacques Adnet. Custom sizes and finishes available.